With my new found fondness for fitness, especially spin, I went in search of the perfect gym wear. As us girls know looking ones best at the gym is that ungettable get, what with tight fitting lycra and usually lurid tones of pink in sportswear plus the added sweat, blood and tears combo looking your best at the gym is not an easy feet! Plus the fashion element is only the half of it; we want our sportswear to actually work! What’s the use in sportswear that does not perform? This is when I came across Green Lamb sport, a performance fashion brand aiming to change the way women dress for an active lifestyle. They believe everything they make should follow the 3 F philosophy: Function, Fashion & Fit. The primary function of their garments is to aid performance, so us ladies can push our body and mind to its limit, no matter what. 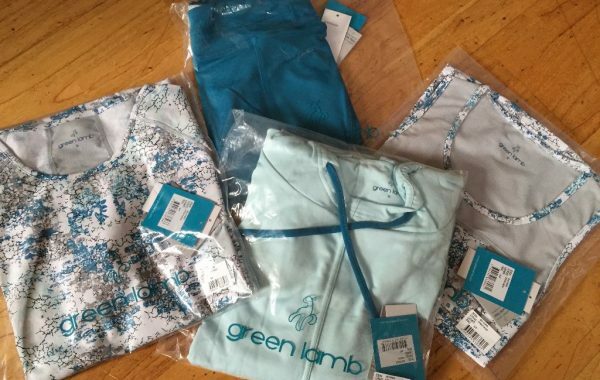 Founded in 1989 and based in Cork City, Ireland, Green Lamb sportswear is an interesting brand supported by none other than Jodie Kidd as their ambassador! The range offers something for everyone and the colourings of the range are great, no pink in sight! I was lucky enough to test the Active Long Sleeve Top, the Softdri Lounge Hoodie, the Racer Back Top and the SoftDri Crop Leggings. 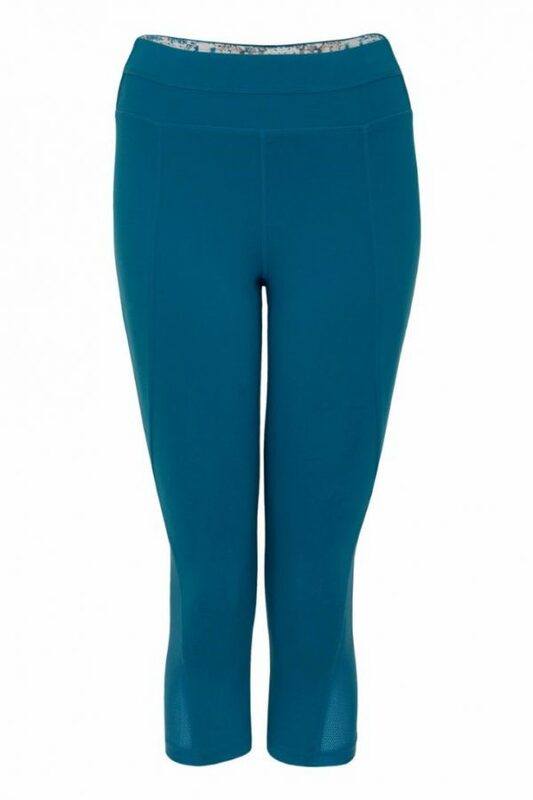 My particular favourites were the SoftDri Crop Leggings, made from stretchy yet durable fabric providing excellent support and coverage. The material was breathable, moisture wicking and quick drying. My favorite detail was the concealed zipped pocket at back to safely store your valuables, perfect for locker keys! I also loved the Racer Back Top, super tough racer back designed to look good and work hard. Made from super soft, silky fabric with essential stretch for a flattering fit and superb shape retention the top also features mesh fabric at the shoulders for extra ventilation. I put the pieces to the test at spin, in the gym weight lifting and even up the mountains under ski gear as an extra, breathable layer and I have to say it passed all the tests. I loved the feel of the garments; the pattern was dynamic but not too over the top and most importantly the pieces worked! No matter how much I sweated the clothes never felt clammy or constricting, because of the breathable material they also did not smell. All the items were machine washable which for gym clothes is essential but these garments also held their shape and did not discolour or bobble! All in all, if you are looking for a fashion forward sportswear brand that also performs look no further than Green Lamb! I can safely say I have retired my Nike and Rebook clothing in favour of this label, especially after getting comments at spin and the gym of how awesome my kit is! The ungettable get? Gotten with Green Lamb! 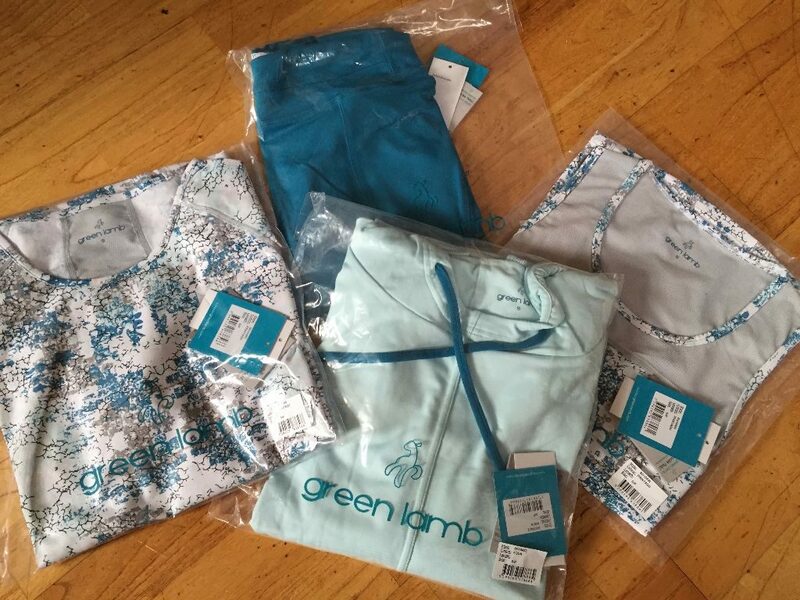 Green Lamb is available to purchase in stores and online.